The Shack by Wm. Paul Young is a riveting parable which aims to expose the role of the Triune God in tragedy. According to Young, The Shack is a story which creates a space for people to hear whatever the Spirit would be telling them in whatever place they are in their journey (Young, & Young, 2012, Kindle location 24). In The Shack, we meet a man by the name of Mackenzie who finds a letter in his mailbox in an ice storm. The letter is an invitation to meet Papa at the shack, which infuriates Mack. The reader does not know why the anger wells up at the sight of the letter until the back story is revealed. On a camping trip with his children, his daughter Missy ends up missing. Young takes the reader through the long ordeal of searching for Missy, every minuet precious. A tip comes in which leads Mackenzie and the authorities to an old secluded shack. It is there where Missy’s bloody clothing is discovered confirming the worst. This is why the letter upset Mckenzie. Why would God lead him to the shack? The shack meant only pain and regret. Mckenzie decides to head to the shack out of a deep seated curiosity and hunger for what God might say. He even totes a gun along in the possibility Missy’s killer might meet him there. When he arrives, he notices the blood stain left by Missy’s clothing. After a time of sorrow he begins to fly off the handle at the perceived absence of God and the sheer absurdity of him even being at the shack, a place of hurt and darkness. Mack even contemplates taking his own life with the fire arm. As Mack is leaving, the snow begins to melt and the sun permeates the sky. As he looks behind him, he sees the shack is now a beautiful little cottage house. Inside he meets Papa, a large black woman who exudes joy and wisdom. Next, Mckenzie meets Jesus, a hardworking carpenter, and Sarayu, the Holy Spirit. Needless to say, the sight of the Trinity perplexes Mack. This is not at all how he pictured God, especially Papa. Papa was Nan’s (Mack’s wife) favorite name for God. Mack tended to see God much life Gandalf from Lord of the Rings, powerful, bearded, distant. Mack’s view of God now also included “uninvolved, uninterested” after Missy’s murder. Papa, in this case, was nothing of the sort. Papa teaches Mack about love and wisdom, Jesus stresses the presence of God and sacrifice, and Sarayu portrays wisdom, joy, and emotion. This is a very shortened list. In this visit Mack walks on water when Jesus is with him, he works in a garden with Sarayu as he learns more of the process of God’s work, and Mack’s defense melts in the presence of Papa more and more. Mac learns about the role of God in the midst of suffering and grief. Jesus teaches Mac He was there with Missy, He never left her. Mack is allowed to see Missy as she is now, and this brings a sense of healing to him. Near the end of Mack’s time with God (in this way), Papa (this time revealed as a male hiker) leads Mac to Missy’s body, which included clues left by “the ladybug killer” which Papa brings to Mack’s notice. Retrieving Missy’s body helps bring closure to Mack and Nan. God’s providence and wisdom is a theological take-away from Young’s work. Deuteronomy 29:29 says “The secret things belong to the Lord our God, but the things revealed belong to us and to our children forever, that we may follow all the words of this law.” A take away the reader might grasp is God’s ways are not always visible or obvious. In fact, Papa did not answer all of Mack’s questions directly. The reader of The Shack might even grow frustrated with the lack of answers. Mack lost his daughter to murder, and who knows what other abuses she endured, so one might feel Mack deserves the answers he seeks. Even in the presence of the Trinity, Mack would encounter the great sadness, as Young put it. The great sadness was Mack’s depression. It would descend at any time, even after a great encounter with God. God’s providence and wisdom helped Mack to trust God, even a little bit. God seemed OK with baby steps towards trust in His providence and wisdom. A psychological take away from The Shack. A powerful scene in the book, from a psychological perspective, was from the chapter entitled “Here Come da Judge”. Past a waterfall and it a dark room Mack meets the personification of wisdom. She is beautiful and calming. Mack is asked about his children, about his love for them. Mack unwittingly describes the Father’s love for His children, yet when asked if God loves all His children the same Mack becomes furious and denies the prospect with reckless abandon. How could God love all His children the same when He allowed Missy’s abuse and murder? This made no sense psychologically. When asked to judge Mack feels shocked and totally inadequate. Wisdom’s assault was unrelenting. Do those who beat their wives or children deserve judgement? What about those who…..abuse and kill girls? “YES!” screams Mack, “Damn him to hell!” Mack had no problem pronouncing judgement on such a monster, for it is this type of man who caused him unmentionable psychological pain. The problem is, says Wisdom, how far back do you go? To judge one is to judge God. God will enact justice, to be sure, but in light of the sacrifice of Christ. The episode ends in Mack taking a baby-step toward Christlike selflessness in offering himself in place of his children, the end object of the judgement path. The psychological impact must have been enormous for Mack (and for the reader). In the beginning of the book we read about a man who had basically shut down, enjoyed ice storms for the solace they bring, and had resigned himself to the sentence of animosity toward God. His mind was always in the bulls-eye of the great sadness. He did not know where or when his depression would descend, but after this episode of meeting the personification of wisdom, he began to experience a psychological breakthrough. The depression might return, but the renewing of his mind aided in the defense against its permanence. The Shack is an emotional book. One cannot help but to feel for Mack and Nan. The reader shares the hurt they carry and empathizes with their agonizing questions, however logically unreasonable they might be. After the reader finishes The Shack, he or she will most likely feel quite spent. The emotions of the water rescue, the loss of Missy, the hope she is ok! Missy is not ok, she has been murdered. The essence of the murder and abuse of an innocent girl pervades the book. All questions of justice and God’s providence are stemming from the murder. This is the framework and the reader experiences all the words of God while still reeling from this preventable tragedy. Since this is a reflection, I Reuben, must interject here. Reading The Shack was an emotional experience, I read in bated breath, laughed, choked back tears, experienced anger, and deep liberating joy. Even the next day, my worship to God had changed. Since this section is on emotion, I find it difficult to put this into third person speech. I cannot understand how one reads The Shack devoid of emotion. All the best parables are emotional! Yet, the emotion of the story is a cause for caution. The Shack is recommended with some caveats. It is a parable, a story, and a work of fiction. The book is not intended as theology, yet it contains specific theological statements. For example, Jesus says “I have no desire to make them Christians” (p. 182). The term Christian is not a purely human invention, the term Christian is explicitly biblical (see Acts 11:26, 26:28, and 1 Peter 4:16). James Be DeYoung even asserts Wm. Paul Young is an universalist in his book Burning Down the Shack, a claim which Wm. Paul Young denies (DeYoung, 2010, Kindle location 94). theology, the point of the book can be quite liberating. Ultimately The Shack is about forgiveness. God forgives all who repent, and because of His example, we can forgive even the vilest of crimes. God does not will anyone parish (see 2 Peter 3:9). It feels like a thousand pounds removed from the shoulders to fully realize redemption is God’s domain. We declare the gospel, yet the work of the gospel is done (John 19:30). 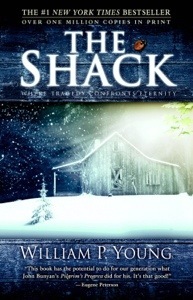 The Shack is recommended to those who are grieving and are stuck in their spiritual growth. In his book Finding God in the Shack, Randal Rouser praises The Shack for addressing “the dark night of the soul” and for bringing us face to face with the possibility of forgiveness for even a child killer (Rouser, 2008, Kindle location 71). It is not recommended to new Christians, for they are best served through biblical discipleship. It is best the reader approach the work with the full knowledge of its fictional persuasion. A concern would be one would quote passages of The Shack instead of the Word of God, seeing this parable as a special revelation, which it is not. The Shack is a shining example of the power of story to accomplish a strong point. The best parables are emotional and evoke reactions. On this account, The Shack does its job superbly. The power of forgiveness rings true in its pages, “Forgiveness is not about forgetting…it’s about letting go of another person’s throat” (pg. 272). DeYoung, J. B. (2010). Burning down “The shack”: How the “Christian” bestseller is deceiving millions. Washington, D.C.: WND Books. Young, W. P. (2007). The shack (C): A novel. Newbury Park, CA: Windblown Media.